HomeORO CHINA – SM Seaside City, Cebu, Philippines! Located at the Lower Ground Floor, SM Seaside City Cebu SRP-Mambaling Rd., Cebu City. From its humble beginnings in 1967, Oro China Jewelry has a proven track record of dedicated and passionate pursuit to what can now be considered the country’s premier jewelry store. For 50 years Oro China Jewelry has constantly delivered exceptional service to its customers, ensuring a genuine commitment in giving the clients guaranteed satisfaction on exquisite jewelry pieces. 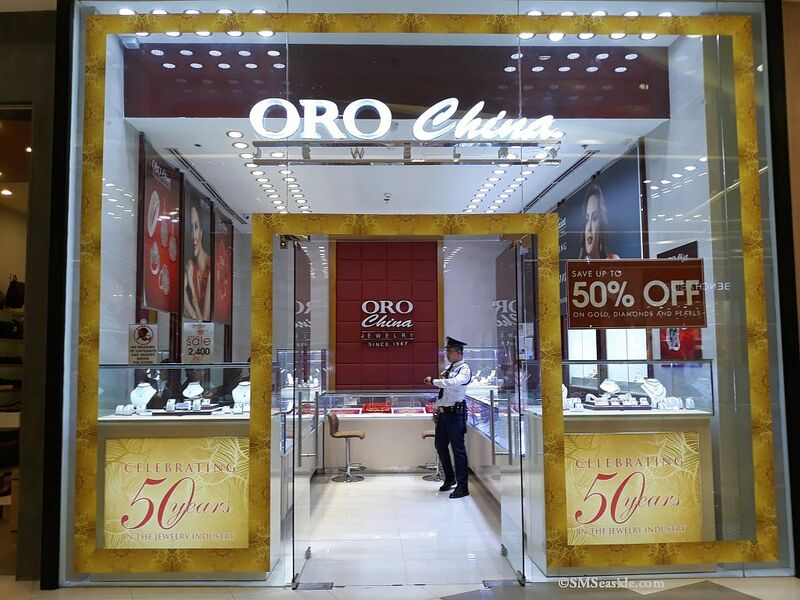 As a pioneering jewelry company in Cebu, Oro China Jewelry has lived up to its name, being the most preferred and trusted jewelry store today. What sets Oro China Jewelry apart is the superior craftsmanship and varied designs of the jewelry. Customers are assured of high quality and all brand new items. Oro China is a haven of a wide selection of brilliant jewelry pieces, where customers can choose from vast selections of necklaces, pendants, bracelets, earrings, and rings.